Police were called to reports of two loud bangs coming from woodland near to Bexhill this afternoon (July 22). 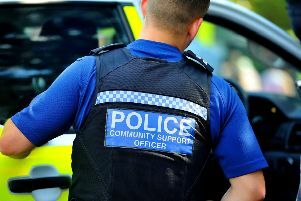 A spokesman for Sussex Police said a call was received at 1.44pm to reports suggesting the noise came from woodland near Buckholt Lane, Sidley, Bexhill. However, following a search of the scene, Sussex Police said ‘no persons were located’. Officers attended the scene with the support of the National Police Air Service helicopter while an area search was conducted, police said.